The cannabis industry was once thought of as the wild west; with low startup costs, no rules or oversight and a product that already has a built in consumer base, it should be easy to develop a successful business, right? However, as new states open up medical or recreational markets, the barriers of entry get higher. 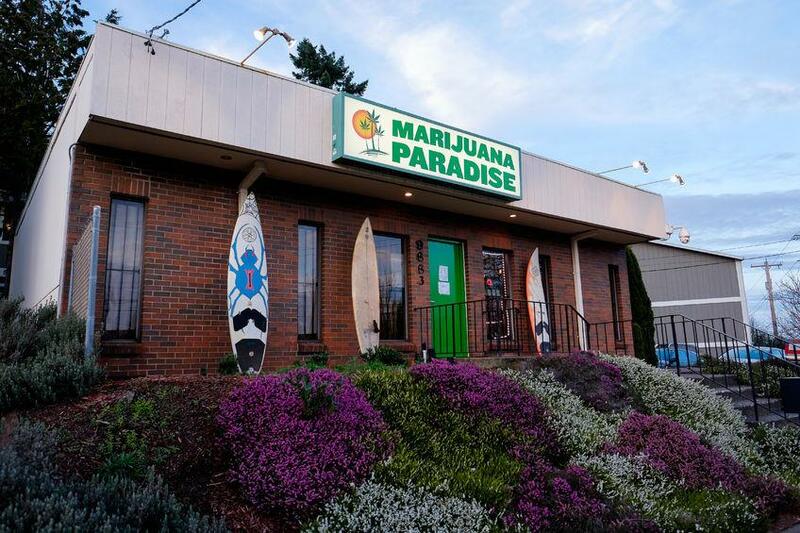 Competition in many circumstances will be fierce and would-be dispensary owners may have to invest hundreds of thousands, if not millions, of dollars to get one of the coveted licenses. In other markets with lower start-up costs and more licenses available, markets are becoming quickly saturated with hundreds of dispensaries in many cities and many new entrants don't survive their first year. In order to survive in this brave new world, dispensary owners will need to be savvy and know their consumers. How do you build a loyal patient or consumer base? How do you convince black market consumers to buy from your dispensary? How important are things like product selection and budtenders to your operation? To answer these questions and more, Brightfield Group surveyed more than 500 medical patients or adult consumers in recreational states. We explore the results in this three part series exploring the topics of winning over new consumers, the importance of budtenders and brand loyalty. Even in areas where medical or recreational marijuana is legal, not all cannabis patients or consumers buy through legal channels. Of people qualified to be medical patients or adults who consume cannabis at least once per month and live in states where recreational marijuana is legal, slightly over half reported purchasing through dispensaries, delivery services or recreational shops. Another 18% report purchasing from a friend or dealer, while another 11% grow their own. Somewhat surprisingly, survey results indicate that younger generations are more comfortable purchasing through legal channels, while baby boomers are more likely to be purchasing through the black market, growing their own or relying on a friend or family member to give them their cannabis. Baby boomers are more price sensitive, less interested in a wide product selection and lab tested medication and are more worried about their names being recorded as a medical marijuana patient. It is also worth noting that baby boomers generally spend less per week than millennials or Gen Xers (53% of Baby Boomers spend $25 or less per week, compared with 39% of Gen Xers and 33% of Millennials) so dispensaries catering to a more high end clientele or manufacturers looking to create more premium or value added products should target Millennials and Gen Xers. Why buy through dispensaries vs. the black market? The primary reason driving people to purchase through dispensaries is the desire to avoid legal complications, cited as a main driver for nearly three out of four respondents who purchase through dispensaries, delivery services or recreational shops. The desire for lab tested marijuana was the second most common reason, cited by nearly 30% of respondents followed by the desire to purchase products that are not easily found outside of legal channels, such as branded edibles or concentrates, cited by 16% of respondents. On the other hand, many respondents who are currently purchasing through the black market express an interest for switching to legal channels. Nearly a third express an interest in avoiding legal complications by through buying from legal channels, 19% would like to purchase lab tested marijuana and 16% would like to purchase products that are not readily available through the black market, such as branded edibles or concentrates. What is preventing people from purchasing through legal channels? The most common reason why people choose to purchase through black market channels is that they are comfortable with their current method of acquisition and see no reason to change, given by more than a third of respondents purchasing through illicit channels. Unsurprisingly, price was cited by a large percentage of respondents as the primary reason for purchasing through the black market despite being eligible for a medical marijuana card or have recreational shops available in their state - 29% of respondents purchasing through the black market were either unable or simply unwilling to pay the higher prices charged by dispensaries or recreational shops. Price was of particular concern for respondents in states with lower median incomes such as Maine, Michigan and Oregon, and was a larger concern for Baby Boomers than it was for younger generations. Dispensaries looking to cater to an older audience or in a less wealthy area would be wise to offer a handful of low priced items or free gifts for new patients that are heavily advertised to help bring in the most price sensitive patients or consumers and help them become comfortable with this new method of acquiring their cannabis. The third most significant deterrent from purchasing through legal channels is the desire of many patients to keep their names out of databases as a marijuana patient or consumer, a significant concern for nearly a quarter of respondents purchasing through the black market. In many ways, this is an issue of education and dispensaries and local cannabis associations would do well do educate potential patients on who has access to patient databases, security measures protecting these databases from hacking and what implications, if any, becoming a medical marijuana patient could have on their lives. This is a most significant concern for nearly a quarter of Baby Boomers, as well as 11% of Gen Xers and 16% of Millennials. Dispensaries cannot compete with the black market in terms of price, nor will they ever. In turn, they will need to appeal to their consumer or patient base on product selection and security, stocking a wide variety of branded edibles, concentrates and high end strains. They will also need to push patients and consumers to understand the importance of lab tested products and convince them of the security of purchasing through legal channels. Millennials will be the easiest to win over, as they are coming of age in an era where legal marijuana is at least believable and are not so set in their ways as older consumers.